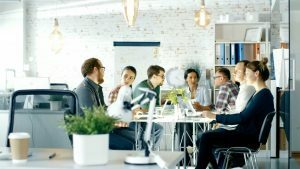 The most pressing issue for businesses today is the quest for growth, and more than innovation, operations or even customer relationships, CEOs are looking for talent and leadership to secure and sustain it. People are truly an organization’s greatest asset. At Treyburn Human Resources Group, our focus is on assisting clients in developing strategies, tactics and processes for sourcing, recruiting, hiring and retaining the human resources needed to support their business objectives. We all know that people are an organization’s greatest asset. The importance of having the right people, in the right place, doing the right thing, at the right time has an immeasurable impact on business performance; yet talent management is truly a science mastered by few. Strategic human resources planning can significantly improve business values and drive tremendous results. Treyburn HR consultants are seasoned HR professionals with many years’ experience as strategic HR business partners. We can help you take your HR organization to the next level and be a contributing partner to the business results.